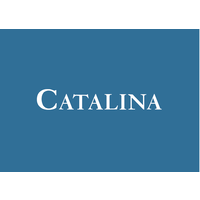 Bermuda-headquartered Catalina Holdings has closed a $700 million equity capital raise and concluded its shareholder restructuring following receipt of regulatory approvals. Following completion of the transaction, affiliates of Apollo Global Management, together with its consolidated subsidiaries, have become majority shareholders of Catalina, with RenaissanceRe becoming a minority shareholder alongside Catalina’s management. As part of the shareholder restructuring, the Apollo Funds have committed an additional $700 million in new equity capital to fund Catalina’s continued growth. Together with existing committed and undrawn equity, this brings Catalina’s total equity to $850 million. “We believe the completion of this sizable equity financing, and the Apollo Funds becoming majority shareholders, are a significant milestone for Catalina,” said Gernot Lohr, Senior Partner at Apollo. The conclusion of the shareholder restructuring follows the announcement in October 2017 that the Apollo Funds had signed a definitive agreement to acquire a majority shareholding in Catalina. Apollo’s acquisition vehicle includes a number of blue-chip, long term institutional and strategic investors.